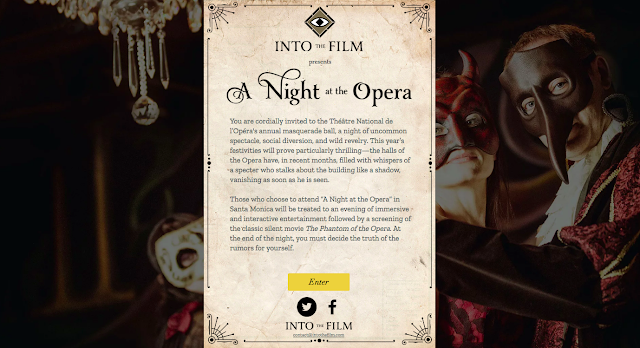 Bring your mask, wear your most regal costume, and enter the world of the Phantom of the Opera! 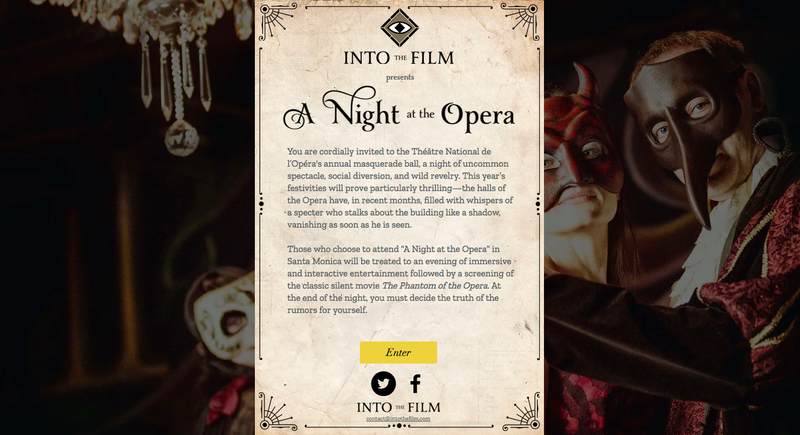 Just when you thought the Phantom was finished, the night returns at Into The Film's A Night at the Opera. This Masquerade Ball invites you to come and immerse yourself as a character in the opera house, where rooms have been transformed into the stories and rumors that we've all come to love and reminisce in Gaston Leroux's epic tale of mystery, romance, and murder behind the curtains. 6:30 p.m. on the 5th, 6th, 12th and 13th.